16-10-1946, hanged, age 56, Nuremberg. Ashes scattered. Grave of honour, Monestery cemetery on the Fraueninsel in the Chiemsee. Jodl, Alfred Gustav, born in Wurzburg, on 10-05-1890, fifteen months after Adolf Hitler (did you know) (see Hitler parents) , as son of Alfred Jodl Sr. and Therese Baumgärtler, who were not yet married at the time of his birth. The couple had another son Ferdinand, the later General and also three daughters, who all died young. 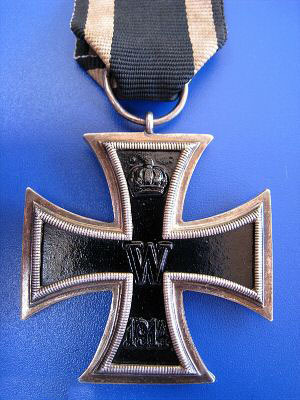 Alfred attended cadet school and 1910 joined a field military regiment in the German Army. Soon after the outbreak of the First World War Jodl suffered a severe thigh wound. He recovered and saw further action on the Western Front and in 1917 Jodl served briefly on the Easter Front before returning to the west as a staff officer. Disillusioned by Germany’s defeat he considered leaving the army and becoming a doctor, but Jodl remained in the armed forces and joined the Versailles-limited Reichswehr. Jodl had married Irma Pauline Karoline Gräfin von Bullion , a woman five years his senior from an aristocratic Swabian family, in September 1913 She born 16-08-1885 died in Königsberg from pneumonia, on 17-04-1944, aged 58. contracted after major spinal surgery. In November 1944, Jodl married Luise Katharina von Benda , a family friend his long-time admirer and she became his secretary, she died in 1998, old age 93. In 1935 Jodl was promoted to the rank of Generalmajor. After the Anschluss, Annexation, he was sent to Vienna as head of the 44th Artillery Command. He returned to Germany and in September he took part in the invasion of Poland. 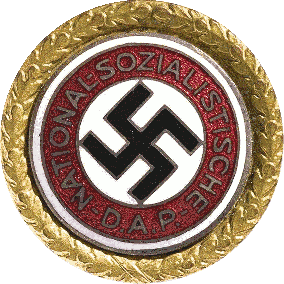 A strong supporter of the National Socialist German Workers Party (NSDAP) , Jodl worked closely with Adolf Hitler and in October, 1939, was appointed Chief of Operations. During the Battle of Britain (see Bomber Arthur Harris) Jodl was optimistic of Britain’s demise and on 30-06-1940 wrote “The final German victory over England is now only a question of time.” In January, 1944, Jodl was promoted to the rank of Generaloberst, acting as deputy to Wilhelm Keitel. Jodl came close to be killed when the bomb exploded in the July Plot, 1944.
to the Allies as the representative of Gross Admiral, Karl Dönitz, together with Admiral, Hans-Georg von Friedeburg and Generalleutnant der Wehrmacht, Eberhard Kinzel. The officer behind Jodl is General Lieutenant, Sir Kenneth Strong who played a leading part in the negotiations for the unconditional surrender of Germany. Strong died in Eastborne, age 81, on 11-01-1982. Soon afterwards Jodl was arrested and charged with war crimes. Death and burial ground of Jodl, Alfred Gustav. At the Nuremberg War Crimes Trial Jodl was charged of approving orders that violated the rules of war. Alfred Jodl was found guilty and hanged on 06-10-1946, by the U.S. hangman John Chris Woods. Jodl is cremated on the Ostfriedhof of Munich together with all condemned Nuremberg persons, Joachim von Ribbentrop, Wilhelm Keitel, Julius Streicher, Wilhelm Frick, Arthur Seyss Inquart, Alfred Rosenberg, Ernst Kaltenbrunner and Hans Frank, SS Obergruppenführer, Fritz Sauckel, and Hermann Goering (did you know), Goering committed suicide only hours before his hanging. The ashes were secretly, in the night of 16-10-1946, scattered in the river Isar, from a bridge in Munich, the Reichenbachbrücke. Veterans say that Jodl’s ashes are bought from the Americans and buried on the Fraueninsel in the Bavarain Chiemsee, next to his wife, Irma Gräfin von Bullion and brother General of the Mountain Troops, Kommandeur Heeresgruppe Narvik, Ferdinand Jodl. It’s the same story as with the ashes and graves of honor for Wilhelm Keitel, in Bad Gandersheim and on Ohlsdorf cemetery in Hamburg and Joachim von Ribbentrop, in Biebrich, Wiesbaden, the family grave of his wife Annelies von Ribbentrop-Henkell. Burial ground of Jodl, Alfred Gustav.